Travel between Shenzhen and Hong Kong is becoming easier, with nine border points currently available along with two new high speed train station cross border points. This article gives an overview of those border crossing possibilities, in an effort to make it easier to cross. To travel between Hong Kong and Shenzhen, passengers need to pass through customs at one of 11 "ports" or border control areas. 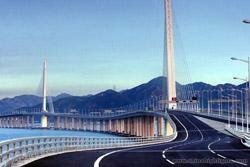 The two busiest ports of entry to Hong Kong are the Luohu Border Crossing and the Huanggang Border Crossing. However, and probably in explanation of why they are the busiest, these two border crossings have direct access to the Hong Kong subway on the Hong Kong side. It is also important to note that a new train between Kowloon West and Shenzhen&apos;s Futian Border will open in Winter 2018. 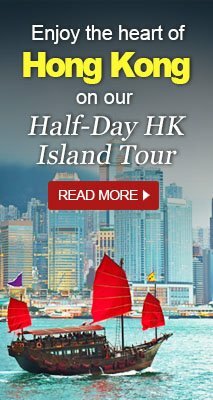 Ferries from Shenzhen to Hong Kong go from Fuyong Port and Shekou Port to the Hong Kong-Macau Ferry Terminal at Sheung Wan as well as Hong Kong International Airport. For transport information within the two cities see Shenzhen Transportation and Hong Kong Transportation, where Luohu/Futian Shenzhen Metro and Hong Kong MTR links are detailed. When you leave Shenzhen North Station via exit A2, turn left and follow the sign for Line 4. Then buy a subway ticket (5 yuan) to Luohu Station. There are both ticket offices and ticket vending machines. Transfer at the Huizhan Zhongxin stop (Convention and Exhibition Center Station) for Line 1 to Luohu Port. The whole journey takes about 1 hour. When you arrive at Luohu Port Station by subway, leave via exit A, A1, A2, or A4. Follow the signs showing you the way to Hong Kong. It&apos;s about a 15 minutes&apos; walk to reach China Customs in order to cross into Hong Kong. Follow the signs for "foreigners" and you will get to the right queue for international passport holders. China Customs at Luohu is open from 6:30am to midnight. When you arrive at China Customs, you will need to go through the China Immigration Inspection, and then Hong Kong Immigration Inspection. The time needed to get through customs is about 40 minutes, depending on the time of day. Busy hours include holidays, and typical commute rush hours as many people use this border in order to get to work. Luohu border is open from 06:30 to 24:00. After crossing you will automatically end up at the MTR which you can take to your Hong Kong hotel. Futian Port is located on Yufeng Road, Futian District (福田区裕丰路) and is open 06:30–24:00. 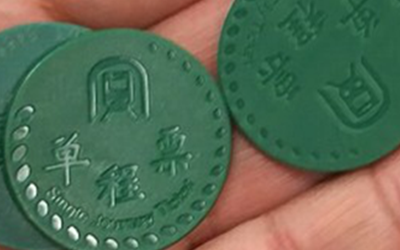 Shenzhen Metro “tickets” are plastic discs. Take an escalator at Shenzhen North Railway Station to the exit hall, and then go to exit A2. When you leave via exit A2, turn left and find the lift that has a sign for Line 4. Buy a subway ticket to Futian Station (4 yuan per person) which goes directly to Futian Port, so you don&apos;t need to transfer. The whole journey takes about 20 minutes. 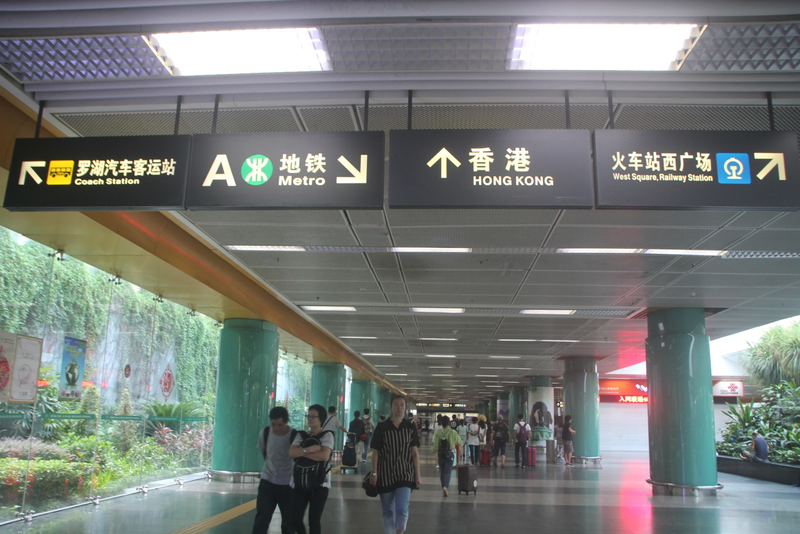 After you arrive at Futian Metro Station, go to exit A and then follow the signs to China Customs. On the way to China Customs, there are currency exchange services. You can change money to Hong Kong dollars to take the Hong Kong subway. The opening hours at Futian Port are 06:30 to 20:30. 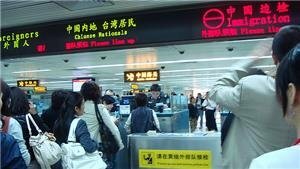 When you arrive at China Customs, you will need to go through the China Immigration Inspection, and then the Hong Kong Immigration Inspection. Follow the sign for foreigners to find the right queue. Take your passport with you when going through immigration (please carry a Hong Kong visa if you&apos;re not traveling from a Hong Kong visa-free country). The time needed to get through immigration and customs is about 30 minutes. Once you clear you can take the MTR to your hotel. Passengers also can take a coach to Hong Kong from level B1. For passengers want to go to Hong Kong International Airport: take a coach to Yuen Long (元朗), get off at Yuen Long Dongtou Village (元朗东头村), walk across the road, and then transfer to Airport Line E14. Huanggang Port is open 24 hours a day, and the time taken to pass through customs is generally less than 25 minutes. 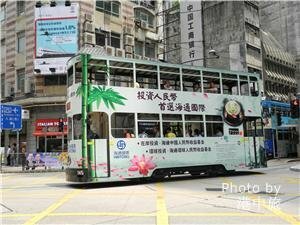 Passengers can take a bus at Huanggang Port to different places in Hong Kong, such as Wai Chai Pier, Jinshang Lu Rail Station, Hong Kong International Airport and Austin Road in Tsim Sha Tsui. Huanggang Port (皇岗口岸) is popular with locals, but unless you are familiar with the bus options or wish to use taxis, it is best to use one of the others, as there is no Shenzhen metro there. However, it is the only one open 24 hours a day. The bus is available 24 hours a day. The departure interval is about 40 minutes from 02:00 to 05:00 and that from 06:00 to 14:00 is about 15 minutes. The departure interval during work days is 1 hour from 06:00 to 07:00 and that from 07:00 to 24:00 is 30 minutes. During holiday days, the departure interval is 30 minutes from 06:00 to 10:00, about 20 minutes from 10:00 to 20:00 and 30 minutes from 20:00 to 24:00. The bus is available 24 hours a day. The departure interval is approximately every 40 minutes from 03:00 to 05:00, every 30 minutes from 05:00 to 06:00, every 25 minutes from 06:00 to 03:00. The bus is available 24 hours a day. The bus is available 24 hours a day. The bus leaves every 20 minutes (about 45 minutes from 02:00 to 06:00). The bus is available 24 hours a day and the departure interval is about every 20 minutes. The bus is available 24 hours a day. The departure interval is about every 20 minutes in day time and every 30 minutes in night time. The bus is available 24 hours a day. A bus leaves every 30 minutes. The bus is available 24 hours a day. The departure interval is every 15 minutes and that from 03:00 to 06:00 is every 30 minutes. The length of the time for a journey is about 30 minutes. The bus is available from 07:45 to 23:00 and the departure interval is every 30 minutes. The whole journey takes 1 hour. The bus from Huanggang Port to Disneyland is available from 08:30 to 24:00 and the derpature interval is every 60 minutes. Buses from Disneyland to Huanggang Port depart at 16:00, 17:00, 18:00, 19:00, 20:30, 21:00 and 21:30. The length of the time for a whole journey is about 40 minutes. The bus is available from 07:45 to 19:15 and the departure interval is about 1 hour. The length of the time for a whole journey is 1 hour. The bus is available from 05:30 to 21:00 (and the departure interval is every 20 minutes. The length of the time for the whole journey is 1 hour. Shenzhen Wan Port is open from 06:30 to 24:00. Passengers can take a coach or a bus from Shenzhen Wan Port to Hong Kong. 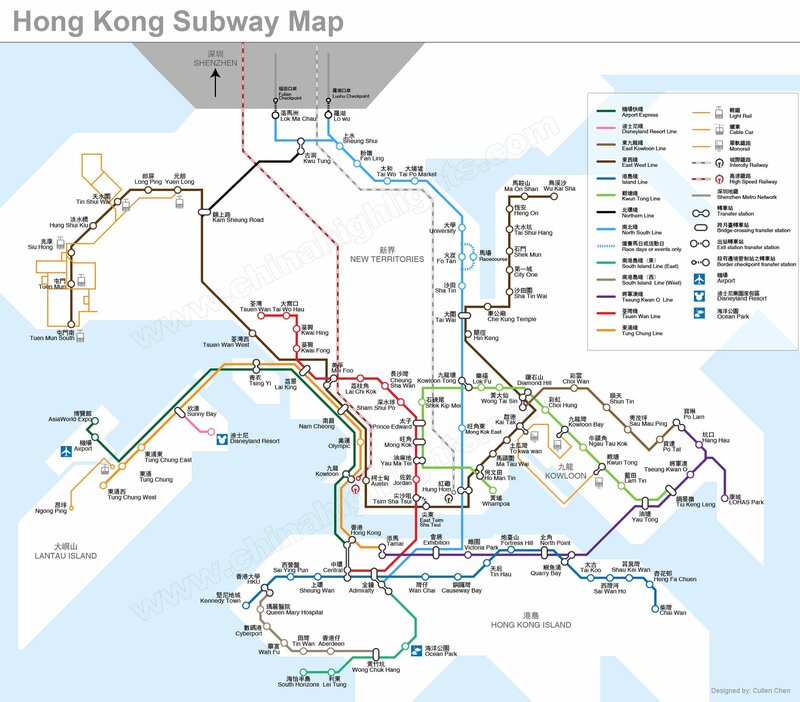 There are several routes to different places in Hong Kong, such as Hong Kong International Airport, Kowloon, Zuodun (佐敦), Tuen Mun Town, Tin Shui Wai, Yuen Long, Sheung Wan, and Causeway Bay. The destination for buses B2 and B2P are Yuen Long West Rail Line Station (元朗港西铁站), running pass Tin Shui Wai (天水围) Station on the West Rail Line. Bus B2P is only available on weekends. Bus B3 and bus B3X run pass the same route, with the destination of Tuen Mun Central (屯门市中心). These buses can all be caught at the main bus station of Shenzhen Wan Port. Below is a table for detailed bus information. Minibuses is available 07:00-21:00 and the departure interval is every 30 minutes; coach is available at 08:00 and 09:00. Available from 08:00 to 23:20, and the departure interval is every 30 minutes. Available from 07:00 to 22:00 and the departure interval is every 30 minutes. Available from 06:50 to 00:10 and the departure interval is every 20 minutes. Available from 07:00 from 00:20 and the departure interval is every 20 minutes. Available from 06:50 to 23:10 and the departure interval is every 20 minutes. Available from 07:30 to 22:30 and the departure interval is every 30 minutes. Available from 06:45 to 00:20 and the departure interval is every 20 minutes. Causeway Bay: Take Bus B2 and get off at Tin Shui Wai West Rail Line Station, then walk across the bridge and take Bus 969 to Causeway Bay. Tsim Sha Tsui: Take Bus B2 and get off at Tin Shui Wai West Rail Line Station, and take West Rail Line and get off at Meifu Station (美孚站), and then transfer to the Tsuen Wan Line (荃湾线) to Tin Sha Tsui. The length of time for a whole journey is about 50 minutes. Marine Park: Take Bus B2 and get off at Tin Shui Wai West Rail Line Station, and take the West Rail Line to Meifu Station, then transfer to Tsuen Wan Line to Jinzhong Station (金钟站), and transfer to Bus 629 to Marine Park. Disneyland: Take Bus B3X and get off at Tuen Mun Center (屯门市中心), and transfer to Bus R33 to Disneyland. The length of time for the whole journey is approximately 70 minutes. 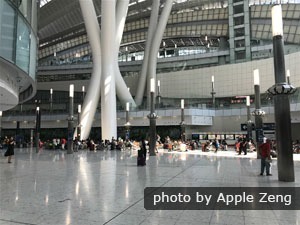 Hong Kong International Airport: Take Bus B2 and get off at Tin Shui Wai West Rail Line Station, then go to Tin Sui Wai Police Station after getting out of the station. Take the airport bus line E34 to Hong Kong International Airport. 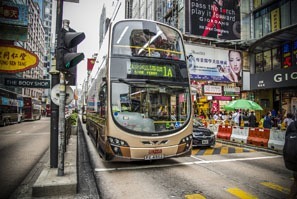 This route is much cheaper than taking a coach or a minibus to Hong Kong International Airport, but the length of the time for the journey is at least 75 minutes. Wenjin Du Port is located in Yanhe Road, Luohu District (罗湖区沿湖路), and is open from 07:00 to 22:00. It is a quiet border and the length of the time for passing customs is rarely more than 10 minutes. After passing customs into Hong Kong, passengers can take a coach to Landmark North (a large-scale shopping place) in Hong Kong (香港上水广场) or take a bus directly to Tsim Sha Tsui (尖沙咀) or the bus station at the China Ferry Terminal (中港码头嘛事总站). The bus to Landmark North is available from 07:00 to 21:00, and the journey takes about 20 minutes. The length of the time for the bus running to Tsim Sha Tsui or the bus station at China Ferry Terminal is about 45 minutes. Passengers in Shenzhen can take bus 5, 14, 40, 97, 242, 378 or N18 to get to Wenjin Du Port. The opening time for Shatou Jiao Port is from 07:00 to 24:00 and passengers in Shenzhen can take bus 53, 68, 85, 202 or 205 to the port and take a bus at the departure lobby of Shatou Jiao Port to Hong Kong International Airport and Kowloon Tong. Buses to Hong Kong International Airport are available from 07:30 to 19:30, and the approximate ticket price is 130 yuan. Buses to Kowloon Tong are available from 07:00 to 21:30 and the approximate ticket price is 35 yuan. Passengers in Shenzhen can take bus 327, 330, 338, 355, 602, 651, 666, Airport Line, Airport Line 3, Airport Line 4, Airport Line 5, Airport Line 6, Airport Line 7 or Airport Line 8 to Shenzhen Baoan International Airport. Check out information for Shenzhen Bao&apos;an International Airport transportation and Hong Kong International Airport Transportation. Available from 08:20 to 21:20 and leaves every 20 minutes. Available from 08:20 to 23:30 and leaves every 20 minutes. Available from 08:20 to 23:30 and departs every 20 minutes. Available from 08:20 to 23:00 and departs every 20 minutes. Available from 09:30 to 21:00 and departures every 30 minutes. Available from 06:40 to 20:20 and departs every 20 minutes. Available from 07:00 to 19:00 and departs every 20 minutes. Available from 07:15 to 19:15 and departs every 30 minutes. Fuyong Port is about 10 kilometers (6.2 miles) from Shenzhen Bao&apos;an International Airport. Passengers at the airport can take free shuttle buses from the terminal building directly to Fuyong Port. The buses are available at Gate 3, Arrival Hall, Terminal A and Gate 6, Arrival Hall, Terminal B.
Ferries to Hong Kong are available at the port to Haitian Ferry Terminal (海天客运码头) at Hong Kong International Airport. The journey takes about 40 minutes. The ferries from Haitian Ferry Terminal (Hong Kong International Airport) depart at 09:15, 11:30, and 15:30 every day. The ferries from Fuyong Port depart at 10:15, 13:15, and 17:00p every day. Passengers also can take a jetfoil: a five-star exclusive and luxurious boat between Hong Kong and Shenzhen. Note: Charter services between Hong Kong/HK International Airport and Macau are available; passengers can contact with the company’s commercial division at (852) 2307 0880 for more details. Passengers can buy tickets online, in the ticket offices and via self-service ticketing kiosk. 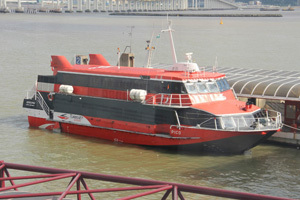 The tickets reserved online are to be collected at the TurboJet ticketing offices or self-service ticketing kiosks located at ferry terminals, and the website for online reservation is: https://service.turbojetbooking.com/webbooking2/. The ticket fares for Premier Jetfoil from Shekou Port to Hong Kong International Airport are HK$300 for an economy-class ticket (HK$165 for a child aged 1 to below 6 years) and HK$340 for a super-class ticket (HK$175 for children aged 1 to 6 years). The above fares include a HK$50 passenger handling fee. The following is the timetable for the Premier Jetfoils. Premier Jetfoil from Hong Kong International Airport to Shenzhen Bao&apos;an International Airport departs at 19:10 every day, and the number is 8S133, while the one from Shenzhen Bao&apos;an International Airport to Hong Kong International Airport departs at 18:00 every day, and the number is 8S313. 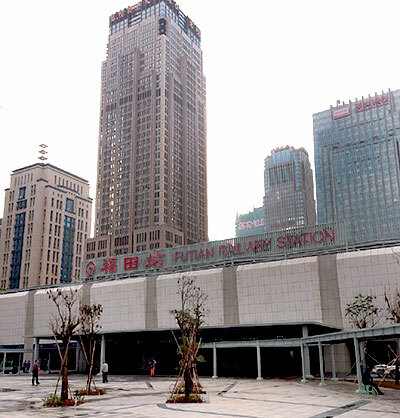 From the Shenzhen Futian Railway Station, you can now go to downtown Hong Kong in 14 minutes. Opened in 2018, the Guangzhou-Shenzhen–Hong Kong High-Speed Railway links Guangzhou and Shenzhen with Hong Kong West Kowloon Station and offers a quicker alternative for tourists. The G class trains connect popular tourist areas. It is now the way tourists prefer to travel to and from Kowloon/Central to anywhere near Futian and Shenzhen North. Shenzhen North to/from West Kowloon Station is fairly quick and convenient. Trains whisk people in about 19 minutes to Shenzhen North. There are about 65 departures from 06:44 to 22:36. Futian Station to/from West Kowloon Station takes about 16 minutes. There are about 24 departures from 08:00 to 20:47. 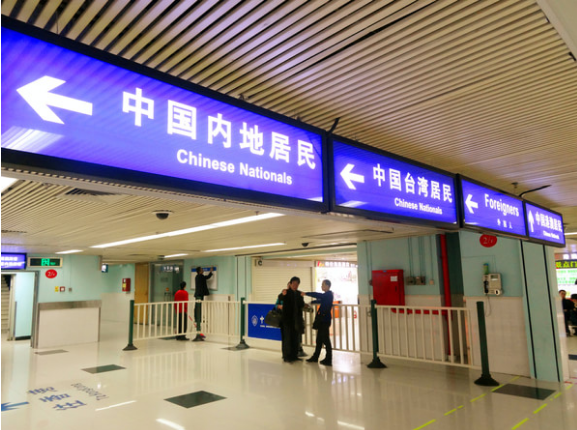 Entering Hong Kong from Shenzhen North and Futian Station requires going through both China Immigration and Hong Kong Immigration at West Kowloon Station. The trains arrive at Level B4. From there, take the escalators up to the Arrival Level B2. You&apos;ll go through Mainland Quarantine, Immigration and Customs Procedures. Then walk along the passageway to leave the Mainland Port. Then, go through Hong Kong Immigration and Customs. Then pass through the ticket gates for final ticket examination. 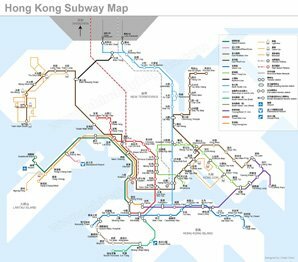 At West Kowloon Station, the MTR Austin Station is a 3 minute walk away, and the MTR Kowloon Station that provides access to the Airport Express is about 11 minutes away. See more about the Hong Kong MTR. Search for Hong Kong bullet train schedules and book a ticket now! You will need Hong Kong dollars to buy MTR tickets. It is recommended that you change money to Hong Kong dollars before crossing the border. There are both ticket offices and ticket vending machines. You can also buy an Octopus Card at the ticket office for convenience if you need to use the MTR several times. An Octopus Card costs 150 HKD (a 50 HKD deposit is included, and 100 will be added as credit). If you return the card within 90 days, you only get 41 HKD of your deposit back. If you return the card after 90 days, you will get your 50 HKD deposit back. See more on Hong Kong&apos;s Subway System. First class: there are designated seats and compartments. The price is higher than normal seats. Priority class: for women, children, and seniors. Normal seats: seats without signs are normal seats. Entry rules keep changing, so please check ahead of your visit. As of August 2018 there are two ways to enter Shenzhen from Hong Kong and tour without a visa or with a quick and cheap 5-day Shenzhen visa issued at the Chinese border. All visitors to Hong Kong and/or Macao are able to visit the surrounding Shenzhen and Pearl River Delta region visa-free as long as they go with a registered tour group such as ours and meet certain conditions. The group size ranges from 2 to 40 people, including you and the guide. The visitor is a national of a country which has diplomatic relations with the People&apos;s Republic of China. This means almost all countries. 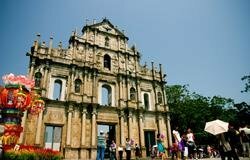 The visitor is visiting the Pearl River Delta as part of a tour group organized by a Hong Kong or Macao based travel agency. The stay is six days (144 hours) or less for most countries except Germany, Republic of Korea and Russia that get 21 days. Travelers from certain selected Asian and European countries may also be eligible for 30-day tour visas. 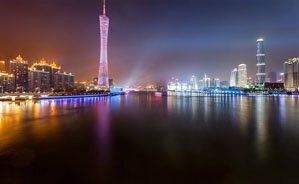 The visitor stays within the cities of Guangzhou, Shenzhen, Zhuhai, Foshan, Dongguan, Zhongshan, Jiangmen, Zhaoqing, Huizhou and Shantou. We offer a special visa-free travel solution: Go with us on private touring with a guide/interpreter and private driver. See Visa-Free or Exemption Entry Guidelines. Now, tourists from almost all countries can enter the Shenzhen Economic Zone on single entry 5-day visas that they can get at the border at Luohu Port (Lo Wu, 09:00–10:30), Huanggang Port (24 hours), Fuyong Port and Shekou Port. It usually takes only a few minutes to arrange. Visitors from almost all countries may obtain a five-day entry visa for staying in Shenzhen. Ineligible countries are: Afghanistan, Algeria, Bahrain, Cameroon, Egypt, India, Iran, Iraq, Jordan, Kuwait, Lebanon, Liberia, Libya, Morocco, Oman, Pakistan, Palestine, Qatar, Saudi Arabia, Somalia, Sudan, Syria, the United Arab Emirates, Turkey, Urganda, and Yemen. The visa is obtained only upon arrival at the Lo Wu border crossing, Huanggang Port Control Point, Fuyong Port or Shekou Port for Shenzhen. 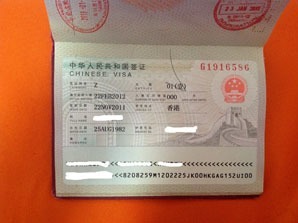 For most countries, the fee for this visa is about 168 yuan or 215 HKD. However, for about two dozen South American and African countries, the fee can be several times more. For Russians and British, it is a little less than double. China Highlights private transport is friendly and convenient. What would be a better way to get around but by private vehicle. Go where you want, and the driver will drive and the guide/interpreter will help. This is the most efficient solution to negotiate border transport. We handle everything from pickup and accommodations in Hong Kong, travel, private driver, accommodations, and guide. Tell us your general preferences, and our skilled experts and guide will arrange your itinerary. Simply contact our travel experts by phone or email, and we will arrange your tour and tailor-make your entire tour and experience.